Specialists of the TRANSVOSTOK group are able to solve rapidly all the issues related to road transportation of cargoes of any designation and volume between the countries of Western, Central and Eastern Europe, Asia and CIS. Having a large base of agents and permanent contractual relations with the partners allover the world, we are able to ensure fulfillment of any order in full, this fact allows us to reduce considerably the cost of services, increases the quantitative capacities, broadens the geography of shipping operations. All the transport partners have the CMR insurance policy. Any format of cargo transportation: pallets, boxes, pieces, etc. 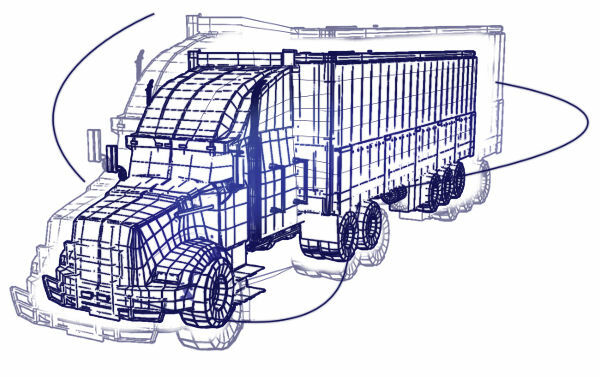 Road transportation of cargoes with any degree of complexity: heavy-weight, outsize, dangerous, fragile, fluid, bulk, perishable, requiring the certain temperature conditions, etc. Our employees, according to the request, will provide you with the development of individual transport scheme, planning and arrangement of transport-storage chains, the strict observance of the contractual terms and conditions, reliability and responsible approach to the details.